Carin Miller Packwood is principal bassoonist of the Oregon Symphony. She previously held principal positions with the Jacksonville Symphony and Shreveport Symphony, and has performed with the Buffalo Philharmonic, Houston Grand Opera, and New World Symphony. 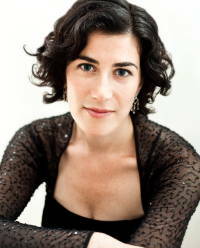 She has appeared at the Spoleto USA and Cabrillo Festivals and performed as a fellow at the Tanglewood Music Center in 2002 and 2003. Ms. Packwood holds degrees from the Juilliard School, Rice University, and the University of Southern California, studying with Ben Kamins, Whitney Crockett, Frank Morelli, and Stephen Maxym. Ms. Packwood has been a private bassoon instructor at Reed College since 2011, having taught previously at the University of North Florida and Centenary College. She also teaches privately at her bassoon studio in Portland, has served as a master class coach through Chamber Music Northwest and regularly leads sectionals with the Portland Youth Philharmonic. Carin is an outdoor enthusiast and has an active interest in the geology and literature of the Northwest.